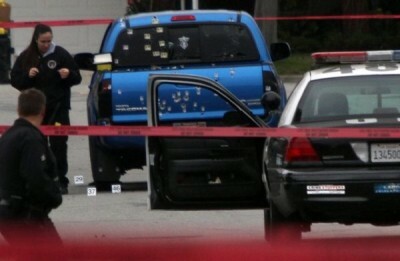 LOS ANGELES, CA– Some may remember the harrowing case of cop-killer Christopher Dorner. Last year the former cop went on a rampage in California, sending people into a heightened state of vigilance. Yet the actions taken by eight LAPD officers stray from vigilance into excessive use of deadly force. With no warning, the eight officers unleashed a hail of bullets, firing 103 times at the truck carrying Margie Carranza and her 71-year-old mother Emma Hernandez. Carranza, then 47, was cut by flying glass, her mother was shot in the back. Miraculously, both women survived.